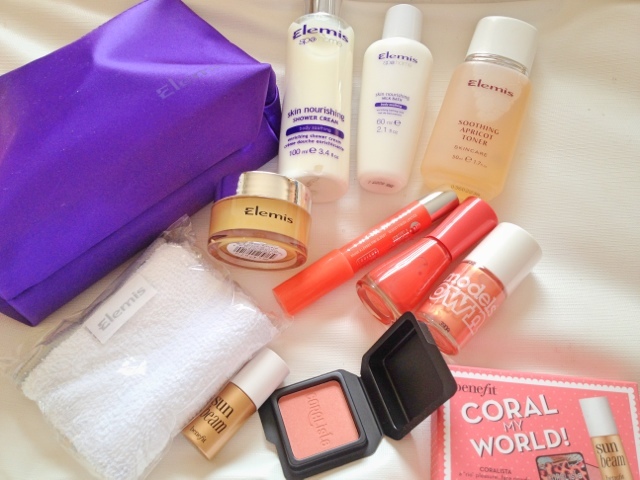 Lou Loves Beauty: 200 Follower Giveaway, Benefit, Elemis, Models Own And Bourjois! 200 Follower Giveaway, Benefit, Elemis, Models Own And Bourjois! Welcome all to my 200 Follower Giveaway! This is a massive thank you to all of you that take the time to read, comment and follow LouLovesbeauty. 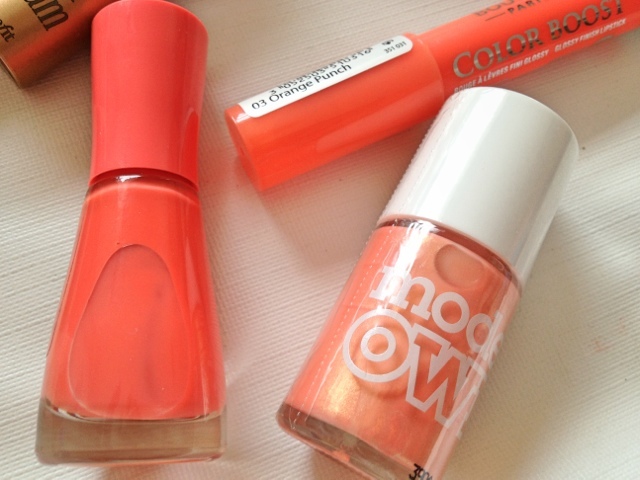 As some of you might know I have had a little obsession with coral this summer, so have included some lovely coral themed cosmetics for the winner to try. 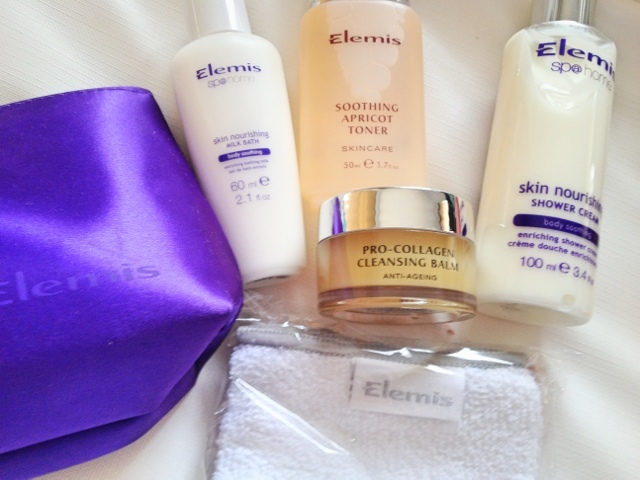 I have also added some goodies from Elemis including their famous Pro Collagen Cleansing Balm. 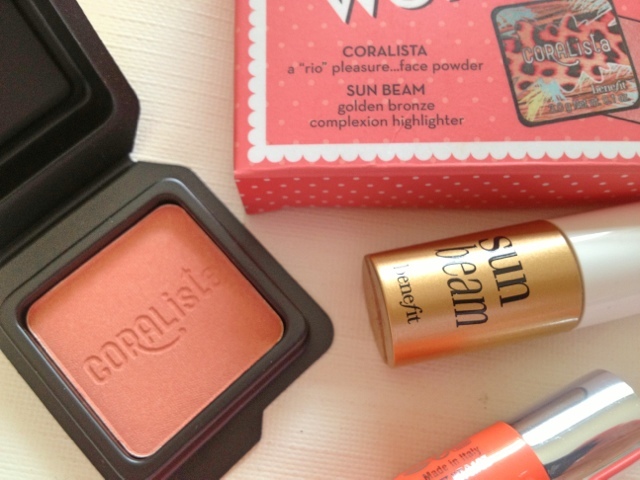 Benefit's Coral My World which includes Benefits Coralista blush and Sun Beam. Bourjois new Colour Boost lip crayon is Orange Punch. Bourjois Nail polish in Tangerine Punch. Models Own Nail polish in Golden Peach. Elemis Cleansing Balm 20g and flannel. Elemis Skin Nourishing Milk Bath. Elemis Skin Nourishing Shower Cream. This giveaway is for followers of my blog so please no competition or giveaway blog entrants. Due to the contents of the prize this is only available to UK residents (sorry!). Please enter by the Rafflecopter below. The winner will be picked on 24/8/13 and checked to see if they have conformed to the entry requirements, if they have not another winner will be picked. They will be notified via email and twitter. Good Luck and Thank You Again! Lovely give away. My Benefits pore fessional Is the product i couldnt have been without this season. I love it. its had to be my benefit erase paste and also Bella Bamba blush to add some colour to cheeks! Congrats on the 200 followers and a great giveaway, thank you! I'm very much into Revlon lip butters atm. They have some great shades. Wow this is seriously the best giveaway I've seen in ages, amazing prizes! Right now I'm addicted to my Urban Decay All Nighter Spray to keep my makeup from sliding off! Thanks again for giveaway and good luck ladies! Amazing giveaway! Such great prizes!! My Summer must-have has as to be my Hawaiian tropic body butter! It's keeping my skin so smooth and smells amazing! My Korres Lipbutter bought with my birchbox points I seriously can't stop putting it on. Fab giveway and great blog. My must have item at the moment is John Freida Frizz Ease Serum, keeps my hair looking good even in this glorious hot weather. my lacura BB cream - its fab!! It has to be the Caudalie Beauty Elixir! I love GLAMGLOW's Youth Mud- can't beat it! It leaves your skin so nice, ready for a light coverage foundation/BB cream, so perfect for summer.